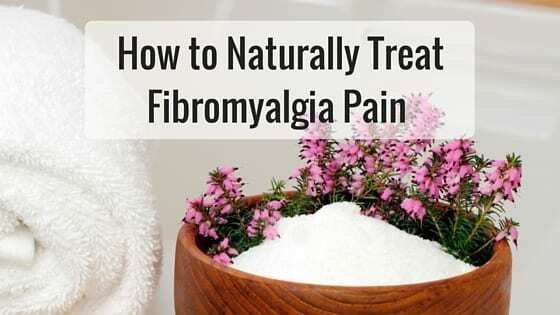 How to Naturally Treat Fibromyalgia Pain - Piedmont Physical Medicine & Rehabilitation, P.A. Regardless of whether you’ve had treatment for fibromyalgia already, or you’ve just been diagnosed with the disorder, you’ll probably want to know some natural remedies on how to treat the pain. 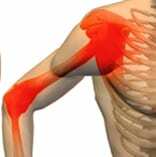 There are many types of exercise activities that fibromyalgia patients can participate in. One of the most basic activities is a breathing exercise. Breathing in concert with a simple contraction, followed by relaxation of different muscle groups increases oxygen flow and can reduce anxiety, stress and duration of migraines or headaches. Another example is water therapy. Exercises in a heated pool can provide relief and increase strength and endurance at the same time. Routine yoga is also believed to ease the symptoms of fibromyalgia. Yoga is a physical, mental and spiritual practice that can provide many benefits for musculoskeletal and mental health. 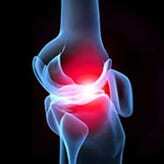 In 2011 York University in Toronto performed an eight-week yoga intervention with women with fibromyalgia. The study suggested that a 75-minute yoga class twice weekly reduced pain, increased mindfulness and lowered the stress hormone cortisol. It’ll be a reinvention of your mind and body. There are many other examples as well; all that is required is to find the one that is right for you. There are cases where fibromyalgia has been associated with infection, such as bacteria, mycoplasma, yeast or parasites. Fibromyalgia has also been associated with Lyme disease. While It’s best to go to your health care provider and asked to be tested and treated, you can eat healthy and take advantage of several supplements to help your immune system. For example, avoid drinking alcohol, smoking cigarettes, and if you have food allergies avoid those foods that might make your worse (such as gluten, eggs, dairy, preservatives and additives). Many fibromyalgia patients benefit from taking supplements like Guaifenesin and probiotics as well. Of course there are other examples, however these two are readily available and have numerous studies to support their use. There is no doubt that the mind and body are connected. If you’re feeling overwhelmed and down in the dumps, your body will respond with the same attitude. It becomes a vicious cycle of feeling emotionally wrecked because your body is weak and vice versa. But at some point you have the break the cycle or at least try to slow it down. If there are unresolved issues from your past, talk it out with a close friend, family member or counselor. If you’re struggling to create a positive environment, force yourself to take the time and have some fun or use the time to decompress and relax. Whatever it is that makes you feel at ease or happy, make it a priority in your life. Since so many fibromyalgia patients have weather sensitive pain, staying warm helps. But there is a bit more to it than stay toasty and warm. It can be a gorgeous day outside, but if a front is on the way or if the temperature is extreme, then aches and pains may increase. If you have weather sensitive pain driving in a car (which means extra vibration), the air conditioning or just simple draft can make your pain flare. So stay warm, use an electric blanket if you like, or take Epsom salt baths. Epsom salts offer the added benefit of bringing blood flow to the skin which reduces pain in many people with weather sensitive pain. There are several self-help techniques that you can try as well. Just find the ones that work best for you. You can ease the symptoms of fibromyalgia by making a few amendments in your life. No one’s asking you to make any sudden or drastic changes, but you can ease your way into a new mindset so that your body adjusts to your condition. Not only will it be good for your fibromyalgia, but it will be a positive change for your overall health.